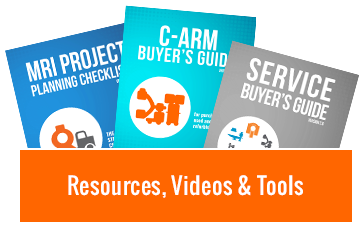 Knowing these things is a great start, but it’s not always feasible to drop a large chunk of money into a single piece of equipment. The income from that Siemens Sensation 64 won’t come in all at once, so why should the expenses for it go out all at once, right? This multi-year financing method allows 12 months of lower payments before your budget for ongoing service costs kicks in. Once you look around, you'll see there are a lot of financing options on the market. We know you just did a whole bunch of homework to find out which CT is best for you, but with just a little more, you can also find a financing option that will help you maintain a positive cash flow while you pay for your equipment. 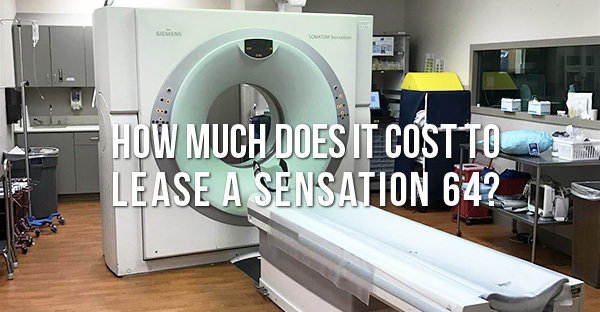 If you have more questions about the Siemens Sensation 64 or leasing a CT scanner, we've got experts that can tell you all about both. Contact us directly for more information, or keep reading with any of our other CT resources.